Sharp and matte. The version of the Lifebook U904 with a matte WQHD+ display and without a touchscreen has now found its way into our list of candidates for review. Does the anti-reflective surface do its job well? How does the notebook fare compared to its competitors? Read our review to find out. 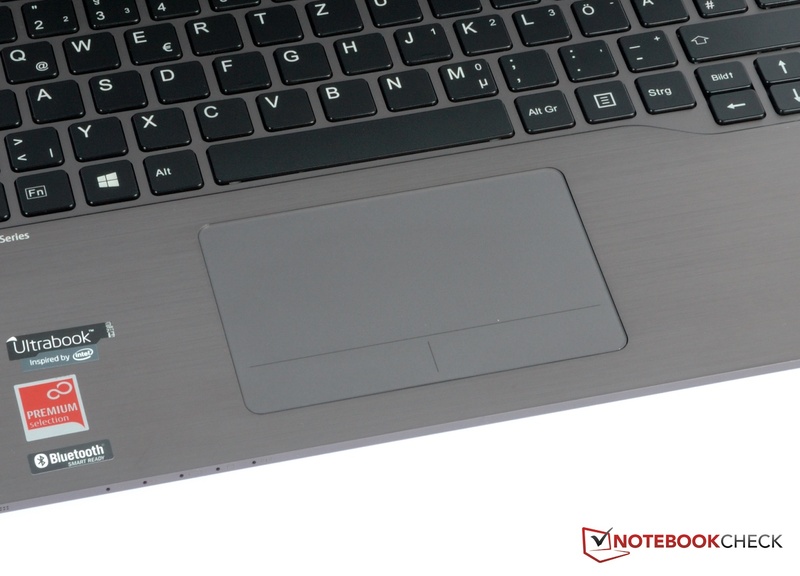 We reviewed our first version of the Lifebook U904 about two months ago. That model was equipped with a Core i7-4600U, 10 GB of working memory and an SSD. Our update covers a slimmed-down version: An Intel Core i5-4200U serves as the notebook's processor, the RAM was reduced to 4 GB, and Fujitsu scrimped on the mass storage as well. At 500 GB, the drive is actually larger, but it now only offers an SSD cache with a mere 16 GB. But the main reason for our update is this: Instead of a glossy display, the Lifebook U904-0M75A1DE is now outfitted with a matte display. At a sharp 3200x1800 pixels, the resolution is the same. Our update clarifies what the differences between the two devices are and how the Lifebook U904 with a matte display surface compares to the competition. 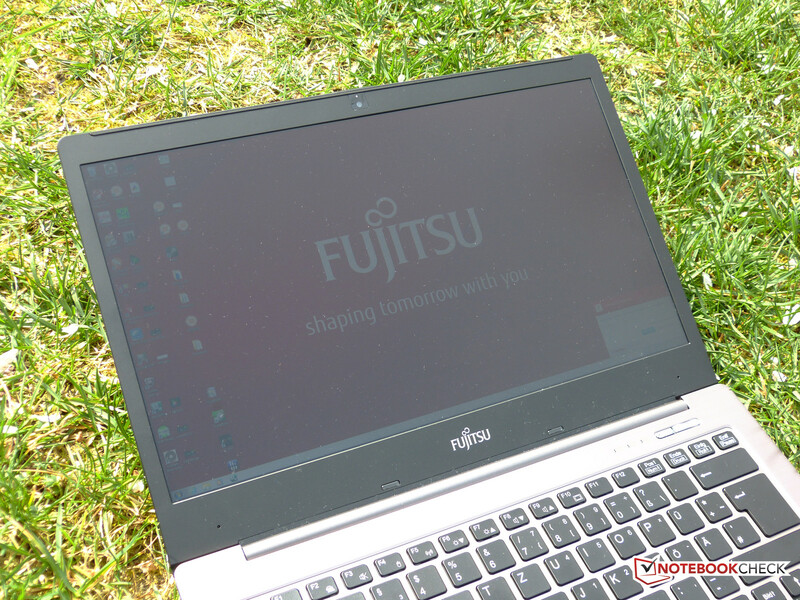 In terms of the computer's case and connectivity options, Fujitsu made no obvious changes: While we only had a pre-series device available to us for our main review, we can now attest that the display on the notebook sold in stores is also easily twisted. The same goes for the rest of the statements we made regarding the computer's stability: In some spots, it certainly leaves something to be desired. Overall, the mouse replacement does its job well, though that is unfortunately not true of the keyboard: A spongy click point and weak feedback definitely spoil the overall package. It is quite simple how Fujitsu gets their matte display: The Japanese company just leaves out the reflective touchscreen plate with its digitizer. The display itself is the same in both the glossy and the matte version of the notebook -- in both devices it is manufactured by Sharp and bears the cryptic name LQ140Z1JW01. Of course the name is routine: 3200x1800 pixels on a 14-inch diagonal make the individual pixels indistinguishable from one another, but that also has its disadvantages. We covered this topic in our main review. Compared to its glossy relative, the results from our measurements are almost all superior: The matte display has an average brightness of 342.4 cd/m², while the reflective panel's brightness “only” comes to 305.6 cd/m². At 1921:1 vs. 1268:1, the matte display's contrast is higher, which again results in a slightly lower black value (0.18 cd/m² vs. 0.24 cd/m²). 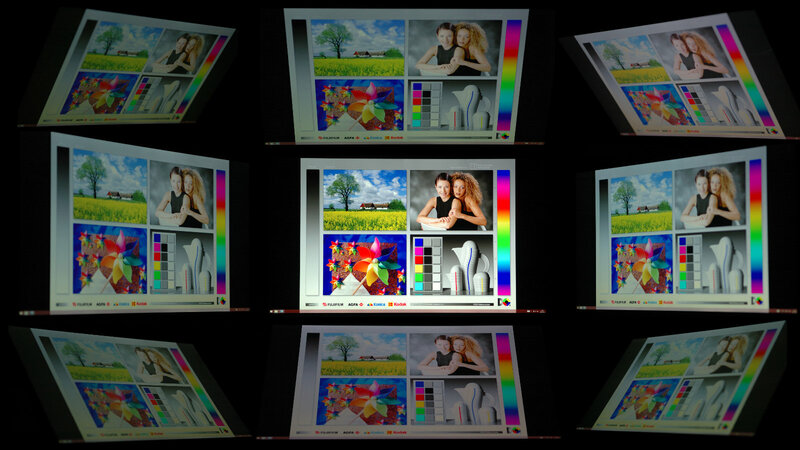 At an 84% similarity across the screen, the panel's brightness distribution is the only discipline in which the glossy relative does better (90%). In practical use, however, this difference is not noticeable. In order to assess the Lifebook with the matte display relative to its competitors, we compared it with the ThinkPad X1 Carbon Touch, the ThinkPad T440s, the ThinkPad Yoga Convertible and the Asus Zenbook UX32VD. 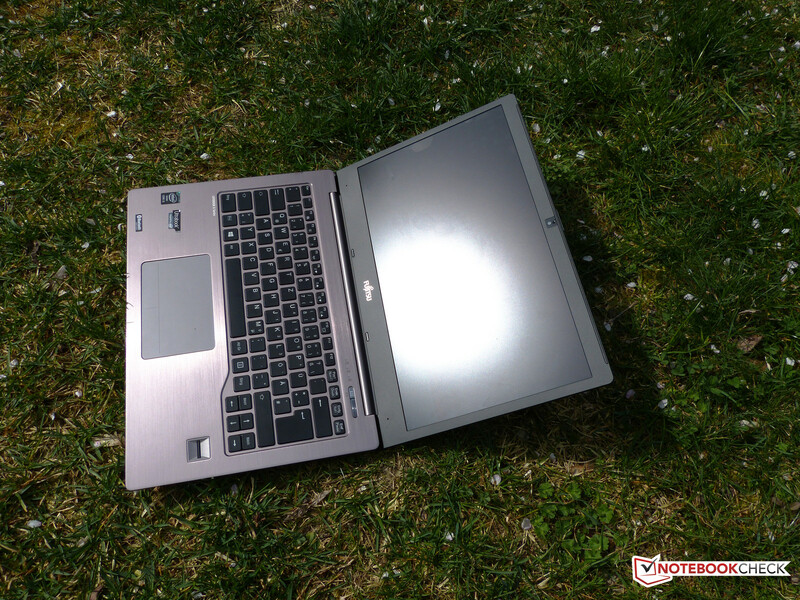 All these notebooks have either a matte display or a coating to reduce reflectivity; hence, each could be used outdoors -- provided the panel brightness is high enough. A quick look at the table above is enough to see: Except for the Lenovo Yoga Convertible, none of the other notebooks offer a significantly higher level of brightness. All the competitors have a weaker contrast than our review device. 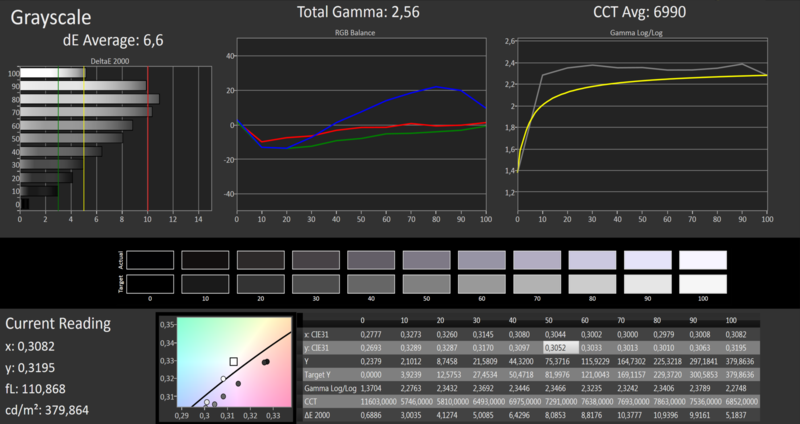 Our model's black value can also hold its own against the competition -- only its DeltaE color deviations are minimally higher than on the ThinkPad T440s. It is true, however, that these values can be subject to small variations in production; the reflective U904 had a DeltaE color value of 4.17 and a grayscale value of 4.87 (vs. 5.3 and 6.6 on the matte version). Interesting: In the area of color saturation, the glossy version with the touchscreen deviates far from the reference values in the green, whereas on the device with the matte panel, the blue region is affected (see screenshots). 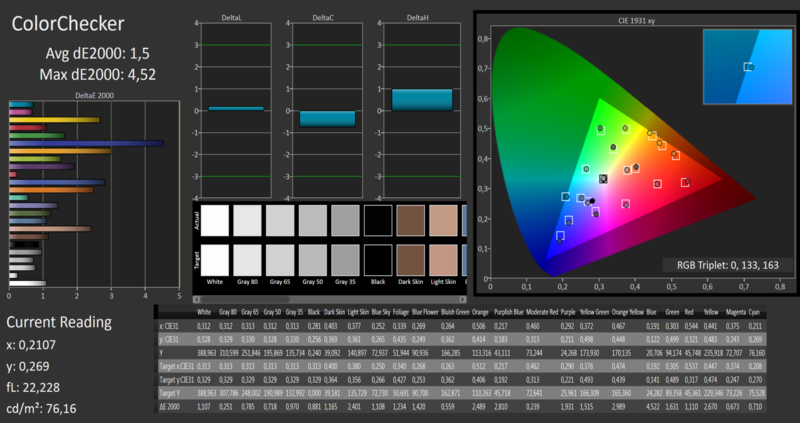 The matte U904's color space coverage is almost exactly the same as that of its glossy relative. That is no surprise, as the same panel resides in both devices. Only the color pink can be represented slightly better. 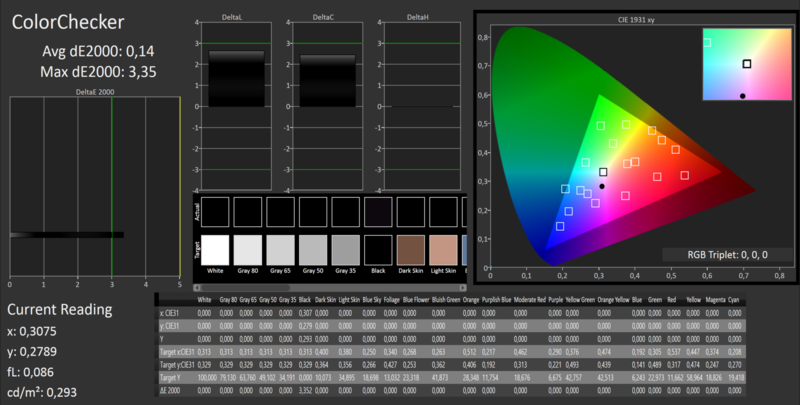 Color spaces are only relevant for those who work with graphics professionally. The matte panel covers 82.35% of the sRGB color space and only 61.45% of the AdobeRGB color space. 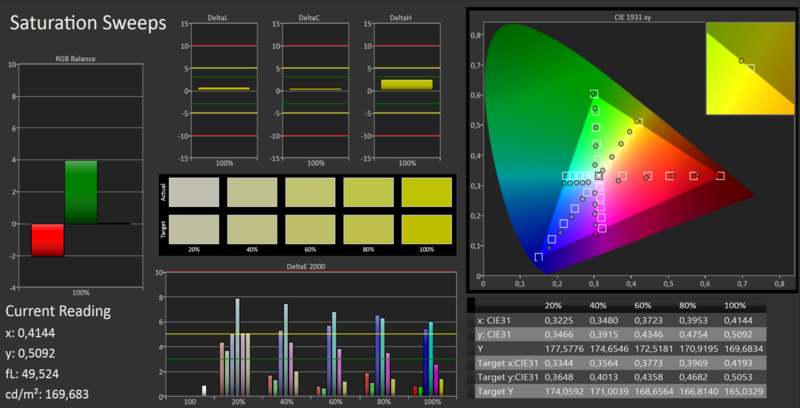 If you can live with that, you will get one of the highest resolution displays on the market. Without the glossy touchscreen, the matte U904 offers wider viewing angles. Where the glossy model had significant problems with color inversion, we only detected a minimal degree of color inversion on the U904. The glossy model's image content also darkened at wide angles along the horizontal axis, but we saw very little of that on the U904-0M75A1DE. In outdoor use, the display with its average brightness of 342 cd/m² can really strut its stuff: Even in radiant sunlight, the display content is still easy to see. Under direct sunshine, however, the panel reaches its limits -- like almost all displays. As we mentioned earlier, the two devices' hardware also differs: Instead of 10 GB of RAM, only 4096 MB finds its way into our review model, and Fujitsu also cut corners when it came to the notebook's processor and mass storage. 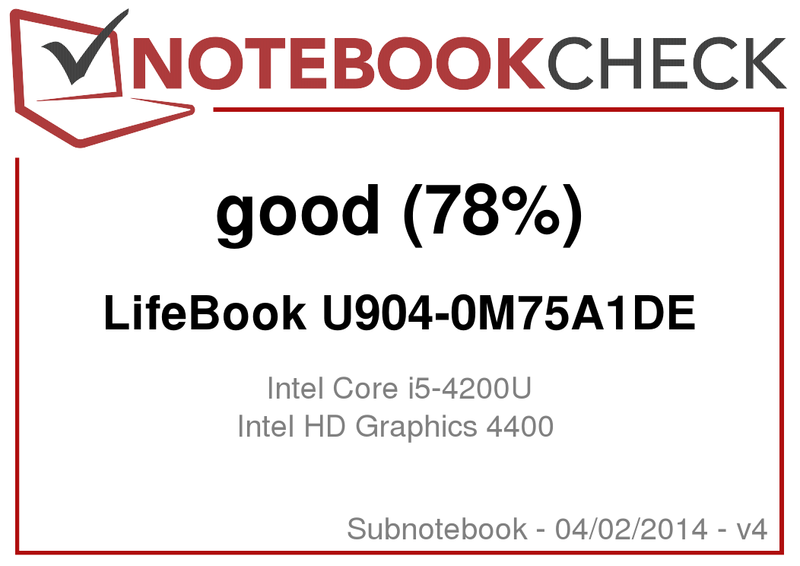 This version of the Fujitsu Lifebook U904 is outfitted with an Intel Core i5-4200U with 2x 1.6 GHz; its glossy relative had an Intel Core i7-4600U at its command. In the Cinebench R11.5 (64-bit) benchmark, the better-equipped version (editorial note: for the Single benchmark, we are using the results from the U904-M0010PL tested by our Polish colleagues, as it is very similar to the glossy version of the U904) comes in about 19% ahead in single-core mode, while in multi-core mode the score stands at 2.18 vs. 2.58 points for the Core i7-4600U. The U904-0M75A1DE's Core i5-4200U's benchmark results are more or less average compared with all the models we have tested with the same CPU. To compare the two systems' overall performance, we used the tool PCMark 7. The glossy Core i7 version beats our U904-0M75A1DE with its Core i5 in every test. But the fault for that could lie in large part with the mass-storage device: In the System Storage benchmark, the glossy version achieves results three times higher than the version with the matte display, and in the area of Computation, the Core i7 scores more than twice as high as the Core i5 notebook. But overall, the matte model with the Core i5-4200U again proves to achieve average results compared to all the other systems with the same CPU. The missing SSD also results in a noticeable difference between the i7 and i5 versions with everyday use. While Fujitsu equips their glossy U904 with a 256 GB SSD from Toshiba, the U904-0M75A1DE contains just a hard drive with 16 GB of SSD cache. This drive runs at 5400 rpm. Compared to similar magnetic storage devices, overall the drive's results are average, though some hard drives with SSD caches achieve higher scores. Out of the factory, the operating system is installed on a partition about 100 GB in size and occupies about 40 GB. Larger storage areas have to be partitioned later. Let's cut to the chase: The Intel HD Graphics 4400 built into the U904 is only cut out for office use, older games and titles that do not demand much in the way of performance. We ran the new but not very demanding F1 2013 on the notebook in our test. Even at the lowest settings, the card only manages 23 fps on average, and sometimes it is very noticeable that the notebook has dropped frames. 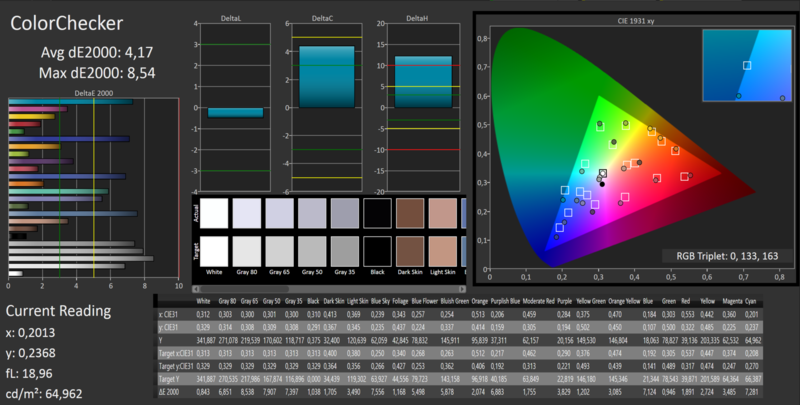 Still, since even we rarely have the opportunity to test out a display with 3200x1800 pixels, we had to try it out. You can easily select this resolution in the game's graphics menu. Together with maximum settings, the graphics card is massively overtaxed. Once we found the “Start Benchmark” menu option (navigating through the graphics menu at these settings is quite the test in its own right) -- what a surprise -- we got to watch a pulsating slideshow of sharply rendered images. The minimum frame rate recorded by the program came to 12 frames per second, which certainly cannot be correct, as we were often able to count the individual images as they flashed across the screen. Otherwise, the U904's results are similar to that of its glossy relative. The graphics card integrated into the Intel Core i5-4200U clocks at 1000 MHz, while in the Intel Core i7-4600U the clock rate is 100 MHz higher. It is questionable as to whether the difference in score in 3DMark 11 (460 vs. 659 points) can be explained by that fact. It is true, however, that both the CPU and GPU clock rates throttle down very early, as we also saw in the glossy U904. As a result, in 3DMark 11, the matte U904-0M75A1DE comes in last in every discipline when compared with all the other devices we have tested with the same CPU and GPU. 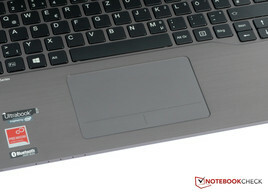 At a maximum of 32.8 dB, the Fujitsu Lifebook U904-0M75A1DE remains very quiet. This is related to the CPU and GPU throttling (compare the Temperature section of this review). In idle mode, the fan sometimes turns off completely, at which point the hard drive bears all the responsibility for the notebook's sound-pressure level. In terms of the notebook's temperatures, too, our matte model buddies up with its glossy relative: Not only in our stress test, but in the benchmarks (especially 3DMark11) and games too, we see severe GPU and CPU throttling. This behavior practically mirrors that of the glossy model, so we will not go into depth on the subject here; for more information, see the main review. The same goes for the temperatures we measured on the top and bottom sides of the case. (±) The average temperature for the upper side under maximal load is 36.3 °C / 97 F, compared to the average of 30.7 °C / 87 F for the devices in the class Subnotebook. (±) The maximum temperature on the upper side is 42.7 °C / 109 F, compared to the average of 35.8 °C / 96 F, ranging from 22 to 57 °C for the class Subnotebook. (+) In idle usage, the average temperature for the upper side is 28.9 °C / 84 F, compared to the device average of 30.7 °C / 87 F.
(+) The palmrests and touchpad are reaching skin temperature as a maximum (33 °C / 91.4 F) and are therefore not hot. (-) The average temperature of the palmrest area of similar devices was 28.6 °C / 83.5 F (-4.4 °C / -7.9 F). Due to the rotating hard drive, overall the Lifebook U904-0M75A1DE consumes a bit more energy than the glossy version with an SSD. Surprisingly, this also strongly affects the device's battery life: In our WLAN test (display brightness set to about 150 cd/m², new websites loaded every 40 seconds, videos played), our test device runs for exactly 4 hours -- 2 hours and 24 minutes less than its relative. Our verdict is quite similar to that of our review device's glossy relative. The high display resolution cannot always be used practically, and the CPU and GPU throttling have a negative impact on the notebook's speed in everyday use. The U904 with a glossy display could at least balance out these disadvantages to some extent with its SSD -- but this possibility does not exist for our matte version. Not only does the boot process go considerably slower, but the overall system speed sinks as well. 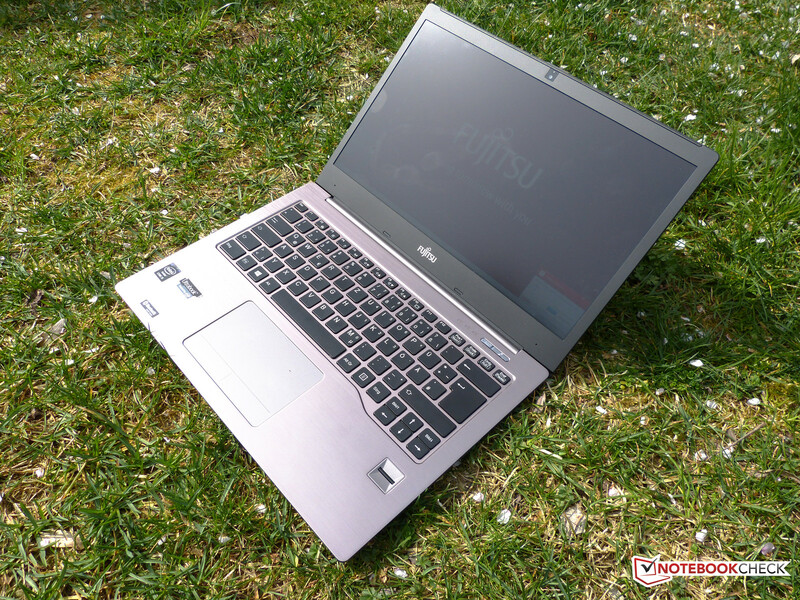 Together with the fact that the keyboard takes quite a bit of getting used to (at least for those who type a lot), the Fujitsu might look good sitting on a desk, but it will not motivate anyone to get down to business. Additionally, you will not be able to use the notebook in battery mode for very long: For a subnotebook on today's market, 4 hours in our WLAN test is definitely on the shorter end. Of course the U904-0M75A1DE certainly does not do everything wrong: The matte display is a real blessing in bright workspaces or perhaps on train rides. If you can go without a touchscreen, have a practical use for the high display resolution, and you are willing to replace the HDD for an SSD on your own (careful: Fujitsu threatens to invalidate the warranty! ), you will get an acceptable notebook -- though admittedly not one suited for prolific typists. An acceptable keyboard and two more hours of battery life. The severe CPU and GPU throttling. The Lifebook U904 with an SSD, Core i7, glossy display and a touchscreen.